Confident. Wise. And approachable. These are the 3 words that I would use to quickly describe Akiko Naka, founder of Wantedly — the game-changing, professional networking service in Japan that offers two unique services. One, Wantedly allows candidates who are interested in a particular company to visit the offices of the potential employer — a highly unusual service in Japan. This is what makes this company different from all the rest. Wantedly focuses on connecting people and companies based on passion and values, rather than money and benefits. During my interview with Akiko, we focused on the success factors that have allowed her to start this 50+ person company at the age of 26. And we spoke at length about the advice that she has for people, regardless of whether they want to become an entrepreneur or not. The more we spoke, the more I understood what she was talking about. By focusing on how you want to live your life, based on your priorities — such as making tons of money, studying a lot about X topic, traveling the world, raising children, making a positive impact on the world, etc. — you are more likely to follow your gut and pursue your passions. Akiko spent 6 months working more than 16 hours a day to pursue her heart’s desire to become an 漫画 anime artist. Nonetheless, the market supply of anime artists was much higher than the demand. So she “failed.” But by trying, Akiko took what she could from her experience and used it to her advantage. Akiko learned that she needed to pursue a unique market, offering services that were not readily available in Japan such as engineering. 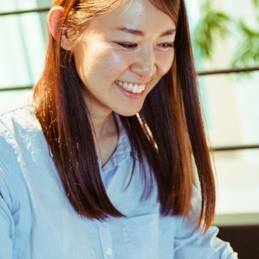 After Facebook, Akiko taught herself how to code Ruby on Rails to create her first prototype. By pursuing her dreams, she developed the skills necessary to start her own technology venture that helps people pursue their passions. Akiko has kindly offered to answer anyone’s questions about the entrepreneurship ecosystem in Japan. A 2015 Bloomberg interview by Mr. Sato, shares captivating insights into Akiko’s personal background. For example, Akiko became fluent in English when she studied abroad in New Zealand for high school. And she started a “free campus newspaper that sold ad space” to local shops, while studying at Kyoto University. But very few articles emphasize the importance of her mother’s influence, except when Akiko shares a little about her personal history in a 2013 Japanese TEDXKyoto. Both her parents were university professors, and both worked very hard to obtain tenure. When Akiko’s mother first started working, she was earning a low salary and had to teach at a variety of universities in distant areas to earn a decent living wage. Because she loved what she was doing, Akiko’s mother often worked late into the night and on the weekends. Now, of course, the hard work has paid off. Her mother is now a well-respected academic in her field of expertise. With her family’s undying support and positive influence, Akiko was able to pursue her heart's desire. Since she was never told she had to do X, or become Y, Akiko could choose how she spent her time. That’s why Akiko was able to pursue her dreams. By having a strong safety net of support from family and friends, one can truly achieve the impossible. Over the past few years, Akiko has been focusing on building her presence in the Japanese domestic market. But now, it’s time to expand internationally! To make her vision a reality, Akiko went on over 15 business trips in 2016. In 2017, the company plans on expanding its operations in Singapore, and opening a brand-new office in Indonesia. Over the summer, Wantedly plans on launching in Hong Kong. By combining her creative and technical skills, Akiko established a profitable company that helps connect the right people to the right companies based on their passions and values. Follow Akiko Naka on Twitter, watch some of her YouTube videos and company videos, and craft your own Wantedly profile. Thank you very much!